Stonehill International School is seeking a new Secondary Principal for August 2019. This is a wonderful opportunity to work in a happy, supportive environment with fantastic students where the focus is on learning. We are seeking an enthusiastic educational leader and lifelong learner who is passionate about creating inclusive and engaging learning environments that cater to the needs of all student. Our school's purpose, direction and decision-making are guided by clear guiding statements that have been developed collaboratively by members of our learning community. We are an internationally-minded community of spirited learners, dedicated to the development of knowledgeable, caring, confident and responsible global citizens. Our mission is to provide stimulating, engaging academics integrated with enhanced opportunities for technological innovation, sports and the arts. The School was established in 2008 and is an inclusive, coeducational day and boarding school which offers an educational programme for students aged from three to eighteen. English is the medium of instruction throughout. The school is operated by the Stonehill Education Foundation, and is a non-profit company. The school is accredited by the Council of International Schools (CIS) and by the New England Association of Schools and Colleges (NEASC). It is authorised to offer the International Baccalaureate Primary Years Programme (PYP), the Middle Years Programme (MYP), and the Diploma Programme (DP). 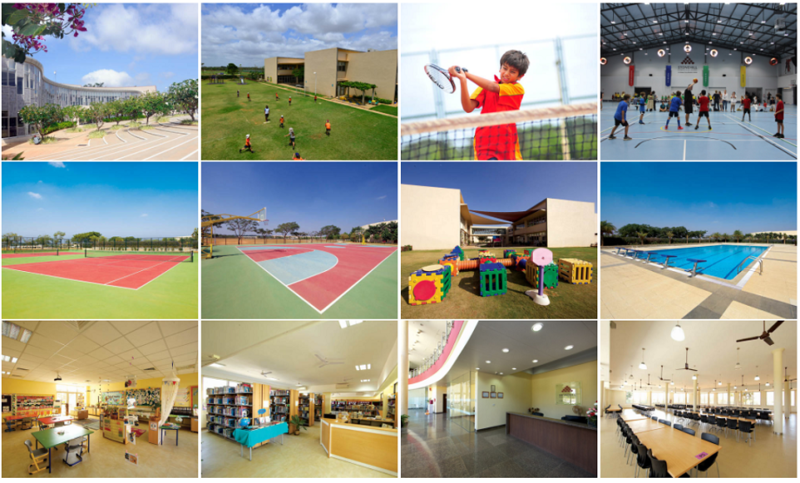 The school is located North of Bangalore on the way to the new international airport. It is a modern and spacious two-story facility purpose-built on 34 acres of land. Students at Stonehill come from a wide variety of backgrounds. There are currently around 550 students enrolled at the school. Some are long-term residents of Bangalore. Others are the children of expatriates who are working in India on fixed-term contracts. At any one time, we have students of more than thirty-five nationalities. The teaching staff are equally diverse, currently coming from Australia, Canada, China, France, Germany, India, New Zealand, the Philippines, Sri Lanka, the UK, and the USA. The Secondary Principal is appointed by and reports to the Head of School and is the senior administrator in the Secondary School. The Secondary Principal is a member of the Educational Leadership Team of the whole school. exhibit and model a respect for the culture, languages, beliefs and people of the school’s host country, India. representing the school at educational and other appropriate events. You can find out more about this position by visiting our recruitment website. Attention: If you apply for this position, please inform the school and us (Admin@searchassociates.com) that you saw the notice on the Search Associates website. Search Associates has 22 Senior Associates with offices around the globe, each bringing a wealth of experience in international education.